Q: What is the overall goal? A: Our goal is 100% participation – we want to hear from everyone in the Puesta del Sol Elementary community, even if your returned envelope does not include a contribution. From a monetary perspective, the goal is to raise enough money to cover current PTA expenses. We are aiming for $175,000. This comes to approximately $450 per student (not per family). Don't let that stop you... if you would like to donate more than $450 for each student it will help us reach our goal. Q: What if I never received or can’t find the bright yellow envelope or donation form? A: A donation form is available on the PTA Website. We accept envelopes of any color – just make sure to clearly label your envelope with child’s name, grade, and teacher's name and return it to the parent volunteers collecting at the drop-off areas between September 10th and September 28th. Q: Where do I turn in our yellow envelope and donation form? A: Please return your envelopes between September 7th and September 28th to a designated PTA volunteer that will be stationed in the under-cover areas by the bus and car drop-off areas before school. Please do not turn them in to your teachers. Q: I have two kids at Puesta del Sol but only want to write one check, what do I do? Q: My budget is tight. What if I can't donate $450 per student all at once? Can I donate less? A: There is no minimum donation. Any contribution is helpful and the $450 is a suggested amount to help cover all the costs for our PTA programs and expenses. Also we have a new donation option this year. You can now make a monthly contribution to spread out your payments. Find out more on our Recurring Donation information page. Q: Why did the PTA Board decide to go with The Big Give instead of our traditional donations-for-laps Walkathon and bi-annual Auction? The PTA is looking for ways to be more efficient in our fundraising. For every $1 raised at the 2018 Auction, $0.31 went to cover the cost of the Auction and $.069 went to support PTA programs. We are trying to spend less on fundraising, so we have to raise less money overall. 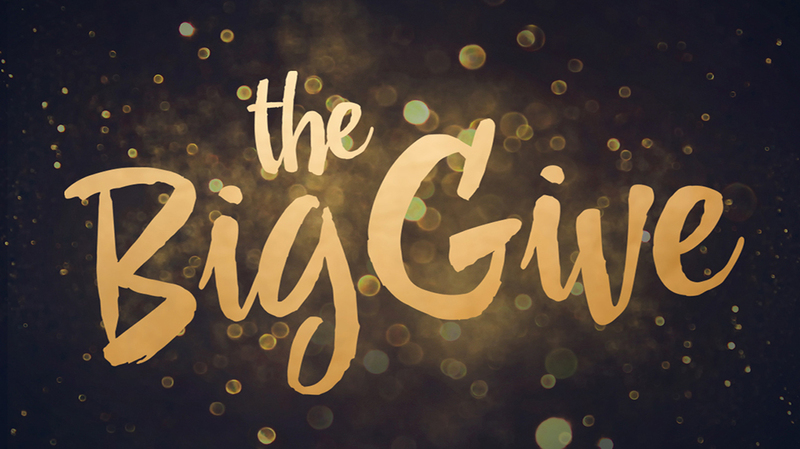 The Big Give makes it easier for more families to provide financial support to the PTA's work in the school, in ways big and small, making fundraising more inclusive of all our families. Many families could not attend our past Auctions. The Auction pulls a huge amount of volunteer power away from the classrooms and other PTA programs. We have a community of very committed and involved families and we are confident they will continue to invest in the PTA with this new fundraising model. Q: Why is the “Big Give” our major fundraiser? A: The Big Give Envelope Drive is an extremely cost-friendly and easy fundraising model with high returns. It is also a chance for the entire Puesta del Sol community to be involved. It costs approximately $200 to run the entire fundraiser and ALL donations go straight to the PTA Annual Fund! It costs roughly $40,000 to run our auction. This will be a significant reduction in fundraising expenses. Many other schools in our area have been using this model of fundraising successfully. A: The three-week focus is to keep everyone engaged and GET IT DONE! You are, of course, welcome to contribute money to the PTA Annual Fund at other times of the year, but it works best for the PTA if you can make your commitment now. Monthly payment installments are provided as an option as well. Just check the appropriate box on the back of the pledge card. Q: Who will see the contents of my envelope when it is returned? A: Your envelope will be collected by PTA member volunteers who will hand the unopened envelopes to the PTA VPs of Fundraising after collecting them each morning at school. The VPs of Fundraising will be the only ones to open the envelopes and will count the returned envelopes by class and give any payments to the PTA Deposits Treasurer for deposit and surveys to the Principal. Any amount donated will help our students and every contribution will be appreciated. *And please look into whether your company has a Corporate Matching program!